"I want to be a guy, but I want to wear a lot of makeup." I slightly regret saying in my first make up review that they wouldn't happen very often. I think this is my third now? Oh well. I couldn't resist reviewing this because I LOVE it. 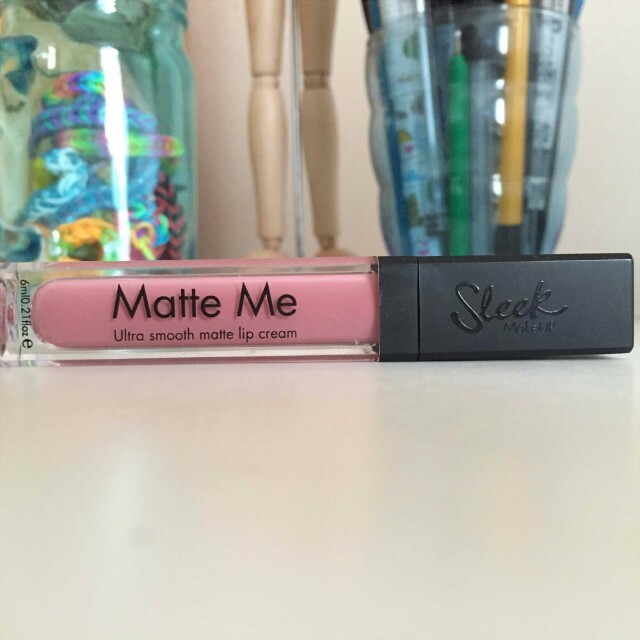 Today I'm reviewing Matte Me by Sleek and the shade is Petal. I wanted a matte lip colour for a long time. Rather than wear lipsticks creamy and thick I tend to prefer them more like a stain because I'm really worried about getting lipstick on my teeth. So I wanted something that would have more pigment but wasn't too creamy or glossy. I wasn't really sure if that made sense or existed and then my mum bought me Matte Me by Sleek in the airport on the way home from England a few months back. Sleek make my favourite eye shadow palettes so I was intrigued to try something else from the brand. I think my mum got me this colour because it was similar to the colour of the lip tars I asked for for Christmas. This kind of pink colour isn't something I'd really worn before. 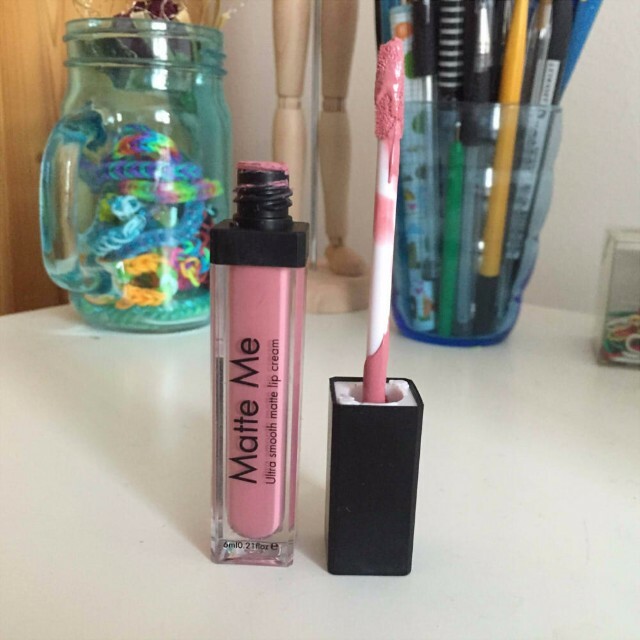 It comes like a lip gloss with the stick applicator so it's really easy to apply. It's pigment holds really well so you don't need to apply loads. I tend to use it sparingly but apply I couple of coats after each has dried fully. It has great staying power even when eating and drinking. I blot it on the back of my hand and when you rub it after it's dried it doesn't go anywhere or even smudge. You have to properly wash it off with soap. I don't know what my mum paid for it but you can get it for £4.99 in Boots. Which I think is super affordable for what it is. They do a few other colours too but I haven't tried any of them yet. I can't really think of any negatives if I'm honest. I just love this product. I had taken photographs of me wearing it but they didn't turn out good enough. So I apologise for not modelling it for you. I'm sure you're all disappointed you'll just have to use your imagination. What do you think of matte lip colours?